Thanks for having me as a guest over on your blog Mae. 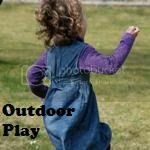 I'm Nicola and I blog over at MultiCraftingMummy where I share my ideas and experiences of the arts and crafts activities that I do with my three children aged 2, 4 and 6. We've spent a good chunk of our school summer holidays outside so far. The weather overall has been pretty good for an Irish Summer! We've enjoyed lots of trips to the beach and playground, the kids have cycled and scootered for miles and we've enjoyed lots of our arts and crafts activities outside in the garden. days to cool us all down. A walk in the woods also provides the perfect excuse to go on a “Scavenger Hunt”. 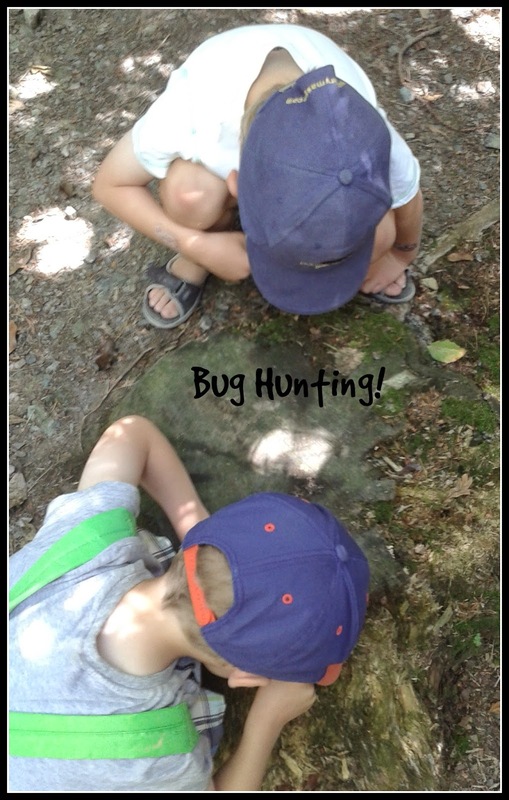 Turning your walk in the woods into a “Scavenger Hunt” is a great way to keep the kids enthusiastic and engaged on your trip out. It’s also a great way to start to teach your kids about the nature around you. A quick search on Pinterest for “Scavenger Hunts” will bring back lots of examples if you are unsure of where to start or you can just go ahead and create your own list. I drew up my own list this time and attached it to a clipboard to bring along on our walk to tick things off as we went around. We also brought along a small bag with us to collect leaves and flowers in. We planned to use these for an arts and crafts activity once we got back home. 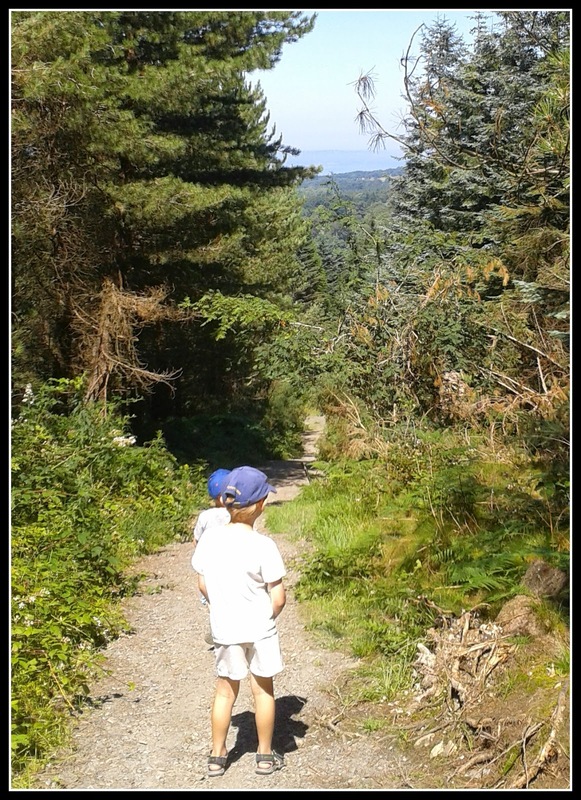 We had a lovely time spotting bugs and butterflies, looking for interesting rocks and collecting different shaped leaves. We also collected a few wildflowers; being careful only to pick what we needed for our arts and crafts and never too much from any individual plant. 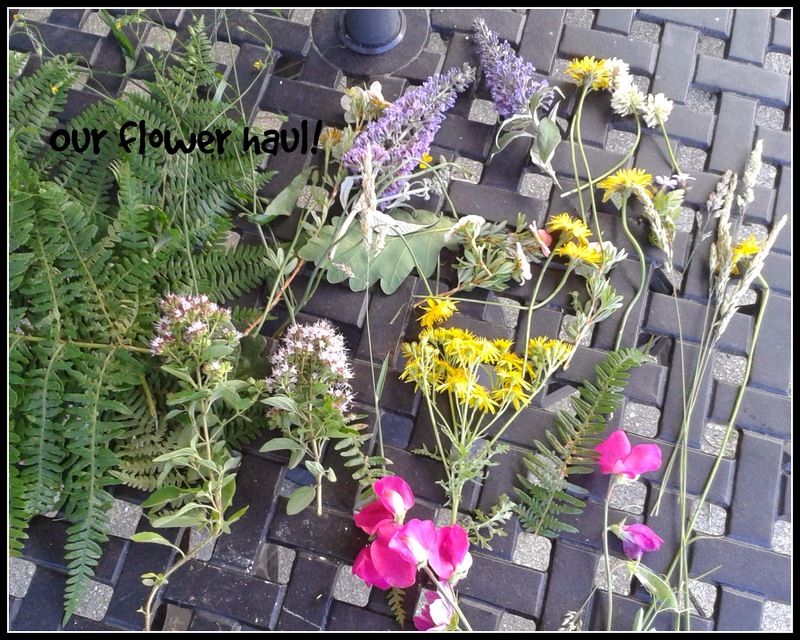 Once we got back home we collected a few more flowers and leaves from our own garden and then set to work painting with our haul outside in. 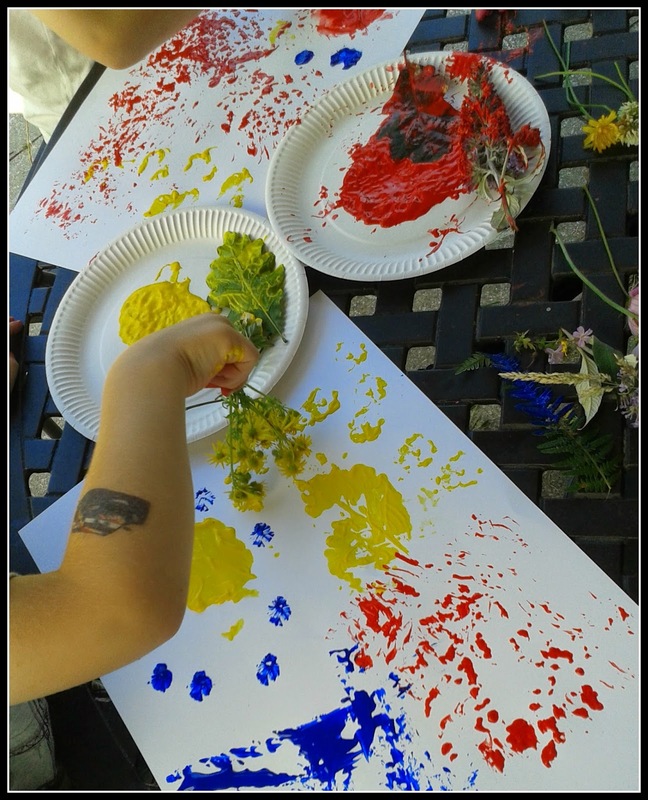 I laid out sheets of white paper and paper plates filled with red, yellow and blue paint. 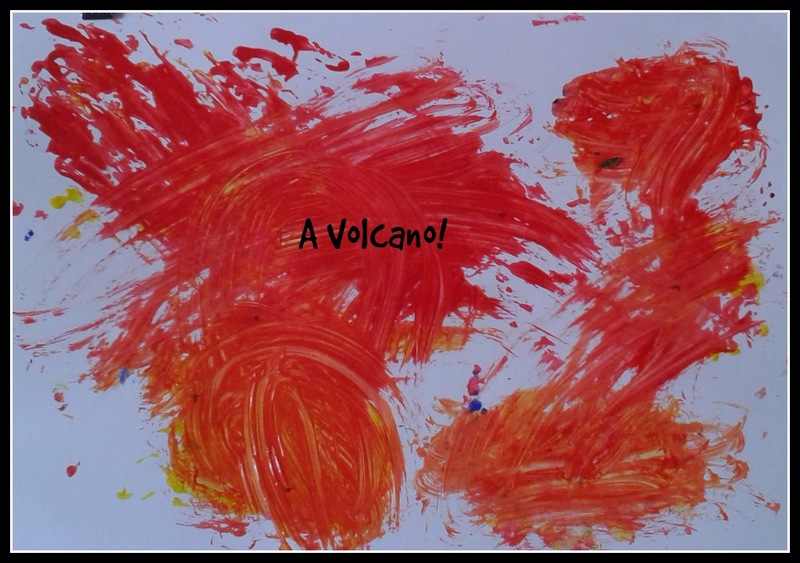 The kids then had a fun half hour creating many different pictures. The best thing about this was listening to them talking to each other about what they were creating with their flower prints. 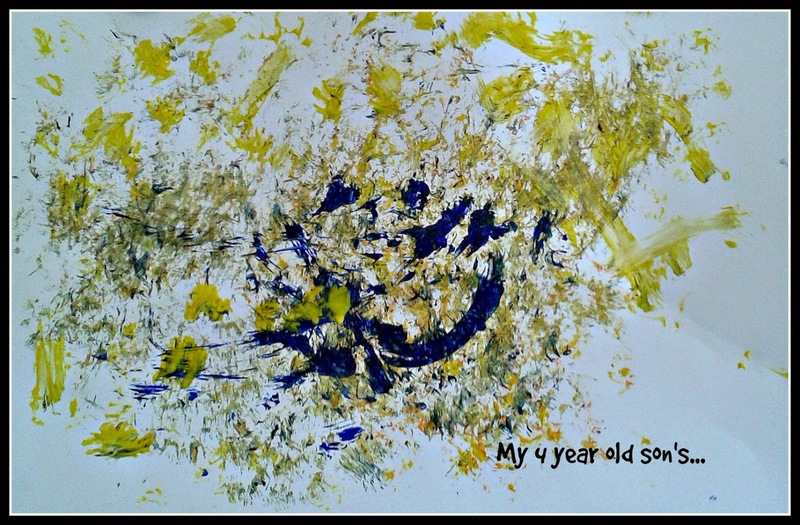 I really like this picture which my 4 year old painted. He actually had a really delicate touch when using the flowers and he made some lovely effects with them. 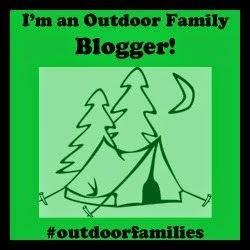 What are you favorite nature inspired activities?